It's a well-known fact that real estate prices don't match our incomes out here on the West Coast. But if you eliminate the single-family home pipe dream and consider the growing popularity and relevance of condo living, it's not such a long shot to find a home the Vancouver millennial can afford. What's the most frequent challenge cited by Vancouver millennials about real estate? They can't afford it. It's a well-known fact that real estate prices don't match our incomes out here on the West Coast. But if you eliminate the single-family home pipe dream and consider the growing popularity and relevance of condo living, it's not such a long shot to find a home the millennial can afford. Key Marketing recently did a survey of 230 prospective home buyers between the ages of 20 and 35 and what I learned from those results surprised me. The biggest shocker was the amount Gen Y home buyers save. Approximately half of Gen Y homebuyers can save more than $500/month, which means they could save about $6,000 in a year. If they are really disciplined and can save that amount for three years, they'll end up with enough for a five per cent deposit on a $300,000, brand new, one bedroom condo in the city. That's a solid starter home, and a smart investment. Here's the other interesting fact: about 35 per cent of Gen Y homebuyers already have between $5,000 to $20,000 saved for a down payment. They pay on average, $1,120 in rent and 60 per cent have enough disposable income after that to save even more. There's possibility in those numbers. There's hope. a new one-bedroom condo in a super high-end downtown Vancouver building. Of course, the picture those numbers painted isn't all rosy. A full 18 per cent of our respondents have no savings. But more than 80 per cent do. That's a huge difference and what it points to is a trend that is often neglected in the real estate media. The majority of Gen Y homebuyers have some savings and if they consider condo living, which they are doing in greater and greater numbers, they'll be able to get into the real estate market. Check out this recent Globe and Mail story about a 26-year-old Toronto engineer who is ready for home ownership. And then check out this recent U.S. study from the National Association of Realtors (NAR). It found millennials now account for the greatest market share of recent U.S. home purchases -- a full 31 per cent of recent buys, leading all other age groups. This is despite the challenges of coming up with a down payment and debt. In Vancouver, millennials can usually only afford condos. And while condo living is not for everyone, it's increasingly popular for young people and not only because it's the only thing they can afford. 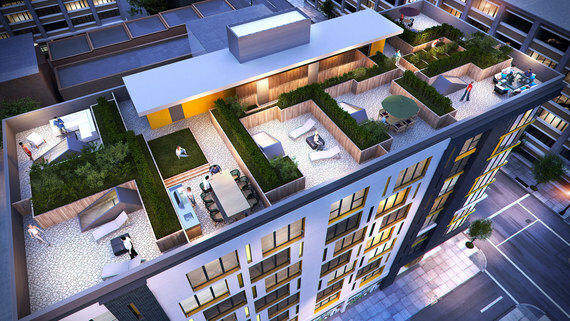 They like the access condos often offer to urban amenities, to a car-free lifestyle, to simplicity. In the ongoing conversation about affordability, let's not lose sight of the option most young people have to get into the condo market and encourage them to get moving.